Beach City Bugle: Mystery Flags Appear in People's Mailboxes! 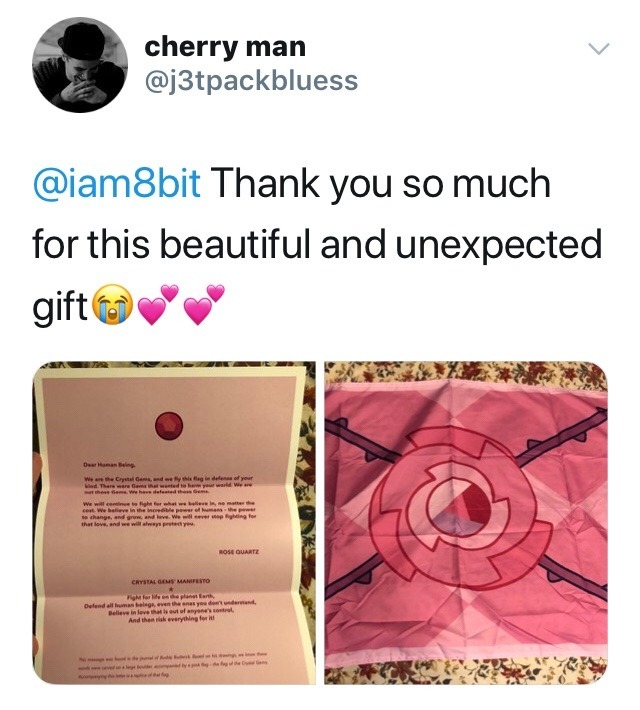 Mystery Flags Appear in People's Mailboxes! Looks like folks who pre-ordered the limited edition 7” vinyl got hit with another surprise earlier this month. Of course, if you were a fool and purchased the vinyl at San Diego Comic Con, you didn't get this. 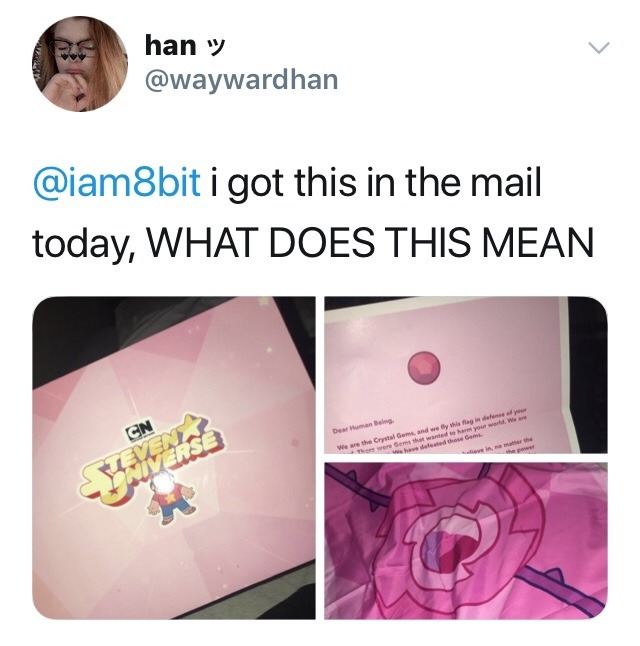 Check below the break to see what people randomly got in the mail, and theorize in the comments what it even means! In case you can't read the important bottom text: "This message was found in the journal of Buddy Budwick. Based on his drawings, we know these words were carved on a large boulder, accompanied by a pink flag - the flag of the Crystal Gems. Accompanying this letter is a replica of that flag." Fan Theory: Did Pink Diamond Shatter Herself?